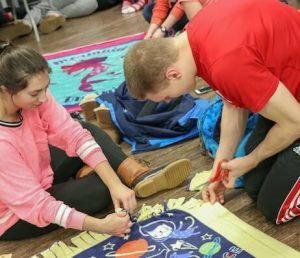 This holiday season, students from Concordia University Ann Arbor joined together to warm the spirits of children at a local Ann Arbor children’s hospital. 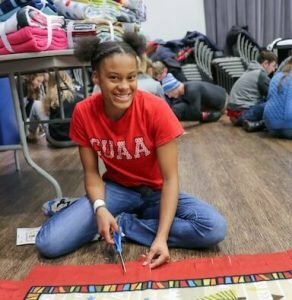 Over 100 students gathered together throughout the two hours of the Make Some Ties annual event to cut and tie fleece fabric and write notes of encouragement to the children that would be receiving each of the cutely-patterned cozy covers. 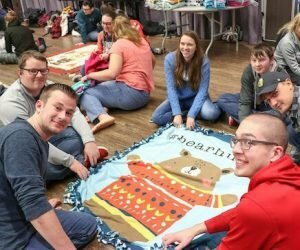 The students made 80 fleece tie blankets in total. Miller, a junior computer science major, originally reached out to C.S. Mott Children’s Hospital in Ann Arbor to find out what Concordia students could do that would benefit and bring joy to patients. The hospital suggested to Miller that they are always in need of more fleece blankets. 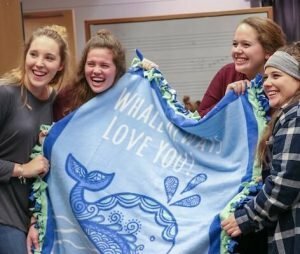 “We try to make the gift of the blanket as personal as possible by doing three things; two of which the kids see and a third that they don’t,” said Miller. Included with each blanket is a handwritten card of encouragement. Inside of the card is also a photo of the group with their blanket after it has been finished so that the children can see the faces of those who made it. 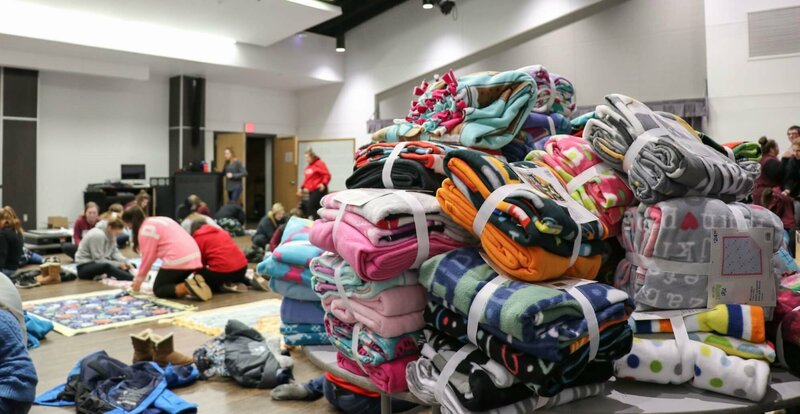 Concordia students also pray over each blanket and the patient that will be receiving it.